Hacarus Launches Sparse Modeling Based Data Analysis Service – Hacarus Inc.
Hacarus today announced the launch of data analysis service to enterprise customers by incorporating the sparse modeling technology that enables extraction of the most relevant piece of information from very small data set. The service is realized by adopting the company’s existing technology and software assets used in the health management app ‘Hacarus’ to general data analysis purposes, and makes it possible to fully-automate computer based data analysis and recognition in an environment where large amount of data required for deep learning cannot be obtained. 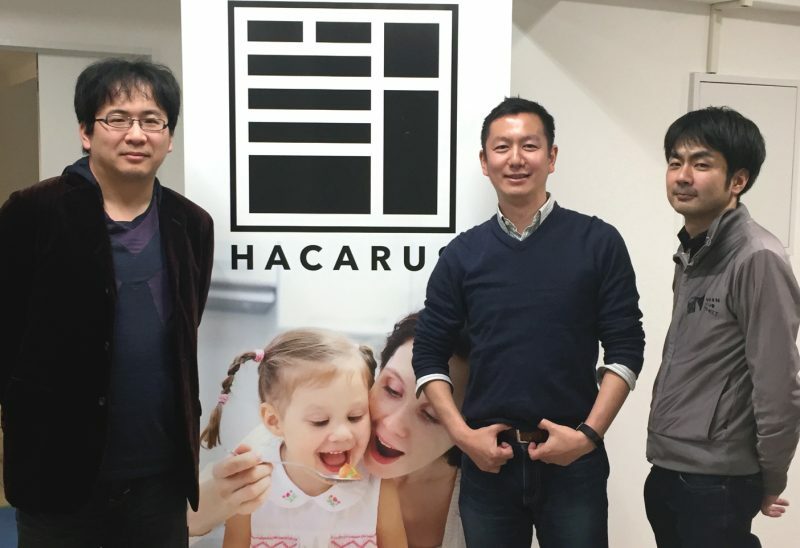 Hacarus has been developing the health management app that incorporates sparse modeling technology since June 2016 jointly with a professor Masayuki Ohzeki of Tohoku University who is also Chief Science Advisor at Hacarus, and offering the health management service to enterprise customers as well as fitness clubs through its mobile app. By leveraging the characteristics of sparse modeling that can extract the most relevant piece of information from very small data set, Hacarus established a new method of analyzing and identifying the user’s health condition even with a partial vital data (aka a sparse data) and greatly reduced the amount of data input required by users which is often referred as the biggest challenge of healthcare services. On the other hand, Hacarus has been hearing from enterprise customers having difficulty applying deep learning to computer based analysis and recognition where they cannot obtain enough amount of training data. Hacarus’ data analysis service is introduced in order to solve this problem by applying the company software assets related to sparse modeling technology originally developed for healthcare to general data analysis. The method of intentionally reducing the amount of data and reconstructing the original data from it is often called compressive sensing. Below is an example of reconstructing the original image data by applying sparse modeling technology from the image data collected by shortening the scanning time of MRI by a quarter. This not only obtains the desired image data necessary for diagnosis while minimizing the burden on the patient but also improves economics of MRI, which is an expensive medical device, by shortening the scanning time it takes each. The sparse modeling in compressive sensing is being applied to medical devices other than MRI these days. Hacarus will provide the service targeting various data initially focusing on analysis and recognition of image data, which is one of the main applications of sparse modeling technology. In addition, Hacarus will also provide the service that can identify the correlation between data, which is another characteristic of sparse modeling. This enables finding of “correct training data” where deep learning is not designed for. This is realized by analyzing and identifying what is characterizing output data for input data by leveraging the uniqueness that sparse modeling technology is excellent in extracting the relevant piece of information from given data. Below is an example of using Hacarus data analysis service. At the moment, Hacarus will provide the service as a contract work to create a model that captures the characteristics of given data, but in future Hacarus will provide the analysis services corresponding to specific data types as APIs. By using these APIs, enterprise customers can easily incorporate sparse modeling technology into existing systems. Please contact sales@hacarus.com for quote.